What if You Could Master Data Cleaning and Transformation to Completely Automate Business Intelligence and Reporting? It allows you to clean, reshape, and combine your data with ease, no matter where it comes from. And it comes FREE with the Excel and Power BI software that you already own. Learning to use Power Query means less time spent manipulating data and more time analyzing it to gain powerful insights and make better decisions. Until now, building BI solutions has been a painful, repetitive process requiring a great deal of manual effort to clean, filter, and format data before it can even be used. And updates have been tedious and error prone. Power Query will save you hours of time gathering and preparing your data before loading it into your data model. Want to Master Power Query to Improve Business and Your Career? 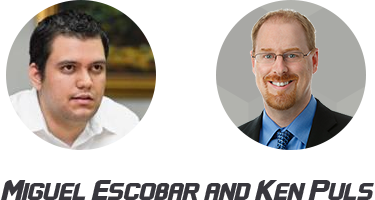 We are Miguel Escobar and Ken Puls, two of the world’s leading experts on Power Query and the partners behind Power Query Training. 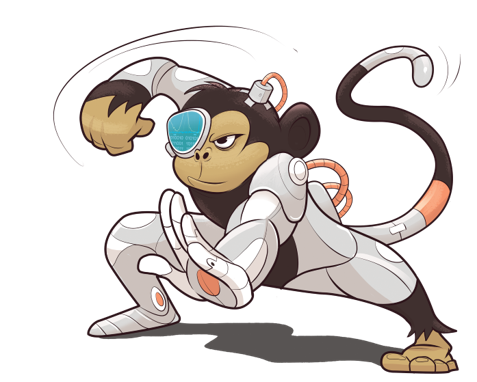 Our best-selling book, M Is For (Data) Monkey, has become one of the top-rated resources for going from a Power Query beginner to expert. Out of the book we developed our popular live online workshops, where we introduced hundreds of data wranglers like yourself to the magic of Power Query. But demand grew, and people told us they wanted more. They wanted to go farther, focus deeper on certain concepts, and be able learn at their own pace. We listened and created a step-by-step program that will change the way you "Get & Transform" data forever. We'll walk you through the ENTIRE process of using Power Query to Extract, Transform, and Load your data in Excel and Power BI. This course is created from a practical point of view, showcasing real-world examples and techniques that you can use right away. You'll learn the exact steps, formulas, and tricks from world-class experts that you can use to save hours of time. And the skills you learn here are can be used in both Excel and Power BI. Finally, you can master your data instead of having it master you! With over 13 hours of our top-quality content, you'll learn everything you need to master Power Query from this on-demand video course. Video 1: Welcome to Power Query Academy!